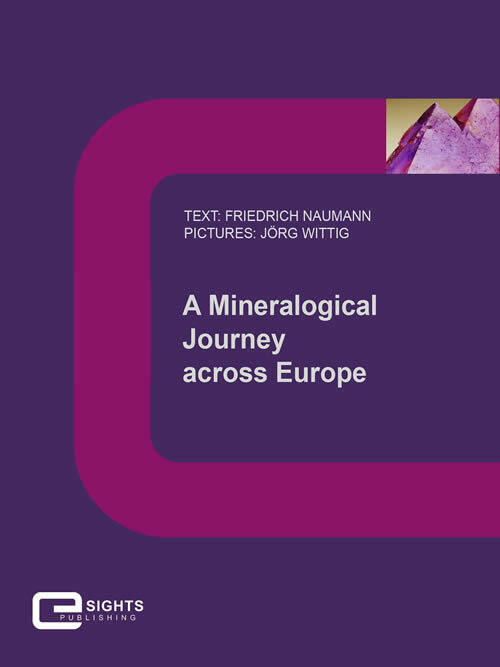 Friedrich Naumann, Jörg Wittig: A Mineralogical Journey across Europe. E-Book from E-Sights Publishing Chemnitz. Nobody can escape the fascination of the mineral world, because each mineral is a unique specimen and evokes admiration due to its form, colour, shape and distinct features. Worldwide, more than 4600 different minerals were identified. Since 2008, the most beautiful of them have found their permanent home in TERRA MINERALIA in the university town of Freiberg. In 34 selected steps this e-book starts a mineralogical journey from Germany to many European countries. Over the centuries this mineral was named according to its various colors: green, brown or multi-colored (suitably 'polychrom'). Polymorphite is Greek where 'pyros' means fire and 'morphos' means shape. The naming of this mineral arose in 1813 from the development of the classical mineral identification technique called 'Lötrohrprobierkunde', because after smelting a lead grain would remain. 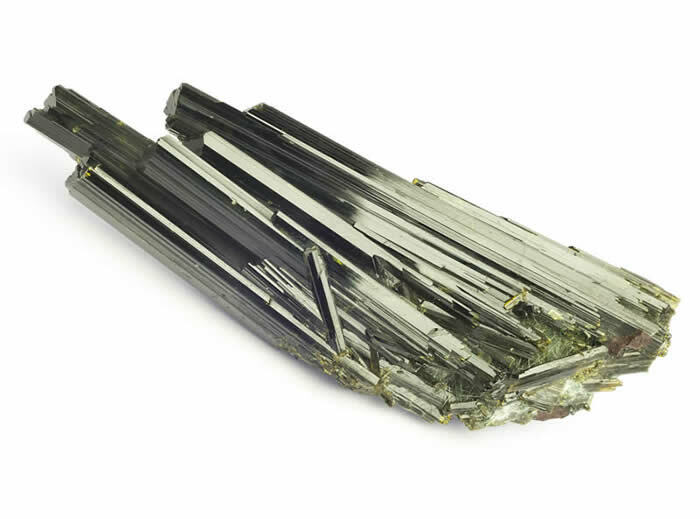 This specimen is from the French mine 'des Frages' near Ussel and is particularly famous for its column – shaped crystals, which are up to 1 cm long. 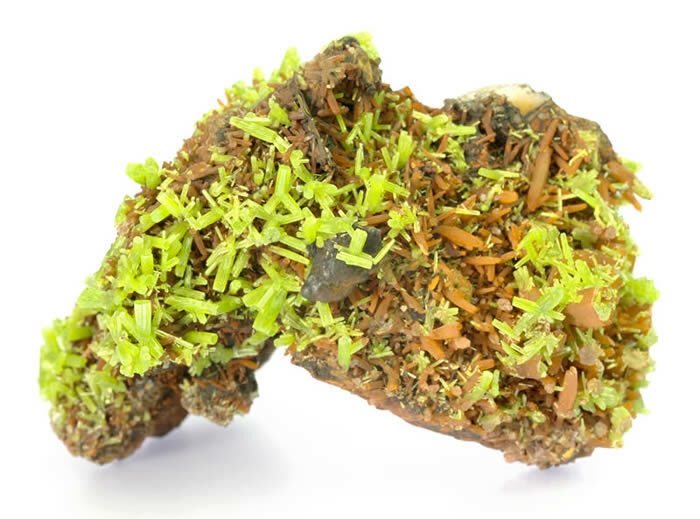 These bright green crystals appear in an intergrown arrangement on a limonitic matrix. The name 'agate' leads one into antiquity where Theophrastos from Eresos, the Greek philosopher, found the first agate in the river Achates in Sicily, and hence its name. Mineralogically, agate belongs to the numerous quartz varieties that occur in nature. 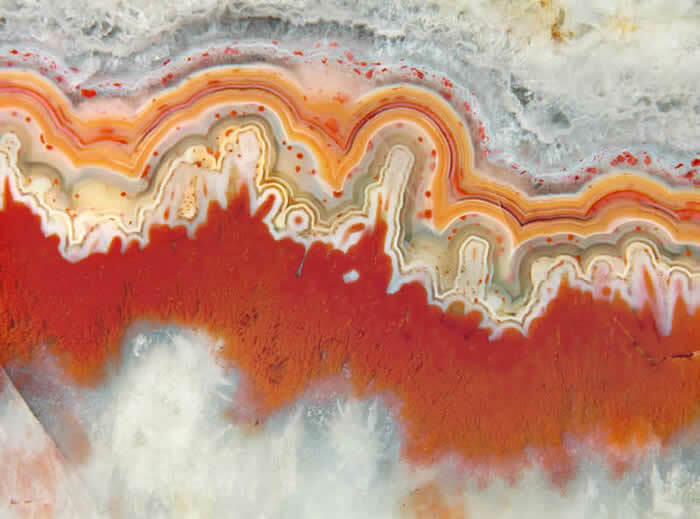 Crystals are not formed in agate, but rather fine-grained aggregates in various collomorphous or finely banded structures displaying the observed color scheme. The beautiful red of this specimen is caused by various iron oxides, which allows for the visual distinction of different stages of precipitation. These perfect, blemishless crystals lie next to one another as if trying to compete lengthwise. At the bottom they have thin needles of bysolite (an actinolite) as if providing a soft landing to protect them from damage. These kind of epidote crystals occur in select collections that are hard to beat aesthetically. This specimen measures a good 10 cm and is home to the legendary Knappenwand in Austria's Untersulzbachtal (Hohe Tauern). What an intensive green color! It reminds one of the imposing green of mallow (Greek malache), where it probably got its name. 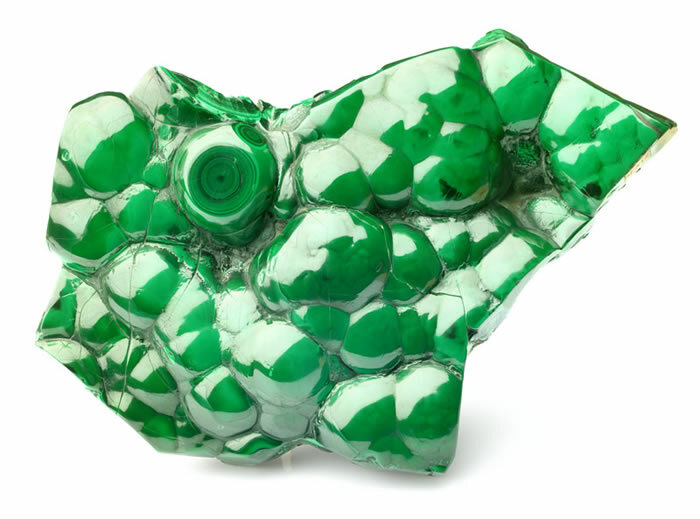 The relatively soft and readily polishable malachite belongs to the most famous minerals, and is not only popular with collectors. Particular attractive forms are either botryoidal or branded. The most precious specimens, like this one from the legendary ore deposit in Ural, found its way in jewellery artwork or for the decoration of buildings, e.g. the famous malachite hall in Hermitage or the columns of the main altar in St. Isaak Cathedral.